This two-story, hip-roofed Transitional Queen Anne-style house is two bays wide and double-pile with a prominent porch on the right (south) elevation. The building has aluminum siding, two-over-two wood-sash windows, a 5V metal roof, and an interior stuccoed chimney. The left (north) end of the façade has a three- sided, cut-away bay and there is an inset four-light-over-three-panel door on the right end of the façade. A hip- roofed porch extends the full depth of the right elevation and is supported by replacement slender square columns on square piers. It shelters a double-leaf entrance. 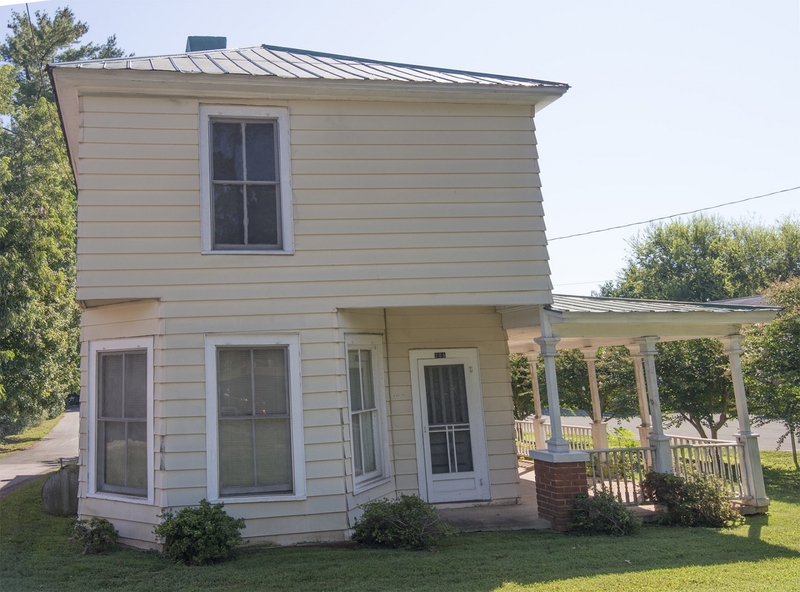 A gabled second-floor porch is centered on the right elevation and is supported by replacement columns matching those on the first floor and accessed by a five- panel door at the second-floor level. There is a one-story, gabled wing at the rear (east). County tax records date the building to 1922, though the porch on the right (south) elevation was constructed later as does not appear on the 1924 Sanborn map. By 1994, the house was divided into apartments. Similar to the house at 105 N. Hassell St.